I feel like I have to write a post today just because it's Wednesday. 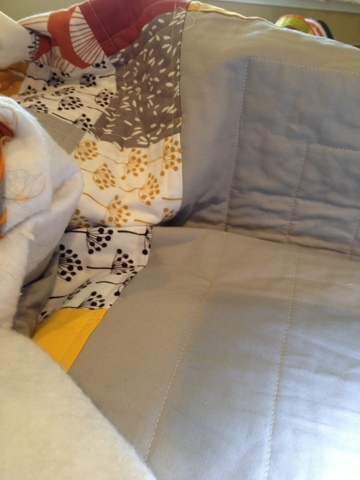 I've been machine quilting it since Sunday. Lots and lots of straight lines. I am backing it with this great looking duvet cover I bought at IKEA. 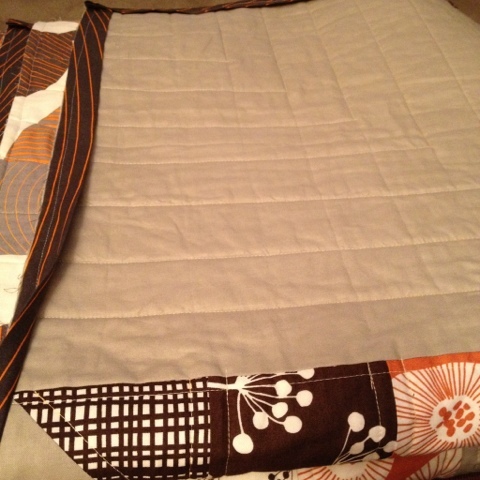 And I finally finished quilting it today. I love all the straight lines. I am binding it with the pillow case that came with the duvet cover. 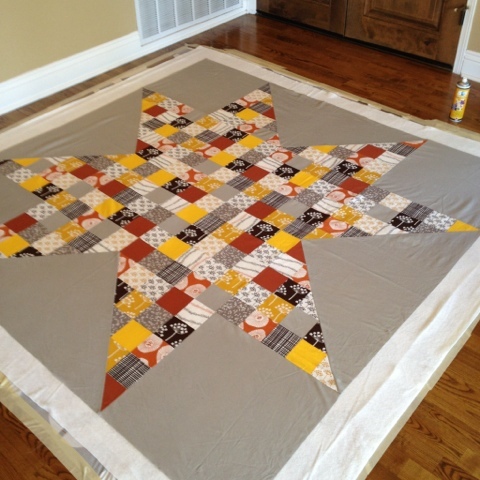 I can't wait to show you this finished quilt. It looks so good. I am just a tad bit excited about it and happy that it will be ready in plenty of time for it's April 15th debut...my friend's birthday! I have also been working on lots of other things this week but it's late and I m tired, so I will catch up with you another day. it looks great di! love it! It looks wonderful and I love the idea of using the pillow case for the binding. Oooh! This is going to be fabulous! Looks fantastic! I love the duvet & pillowcase idea too! It is looking great. Sweet dreams. Oh my, it is GORGEOUS!!!! I can not wait to see it all done. Your friend is one lucky lady to receive such a gift! The quilt is beautiful! 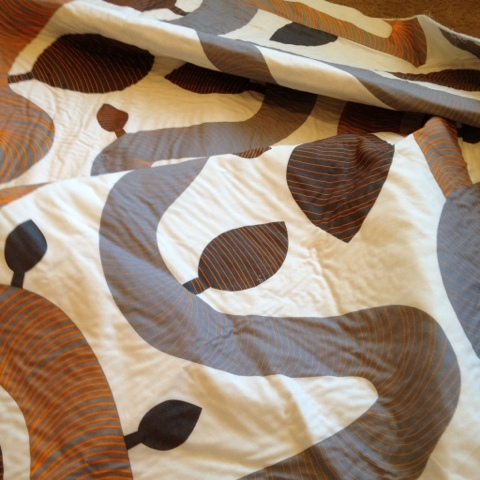 My son has that duvet and pillowcase, a perfect compliment to the fabrics you are using. I need to stop by and see some of this work in person - so beautiful Di! It`s so lovely Di! Clever you. Congrats on your win over at Katy`s! Love the backing and binding that you chose, perfect! Di it looks beautiful! And BIG! I know you are so happy to have it finished.